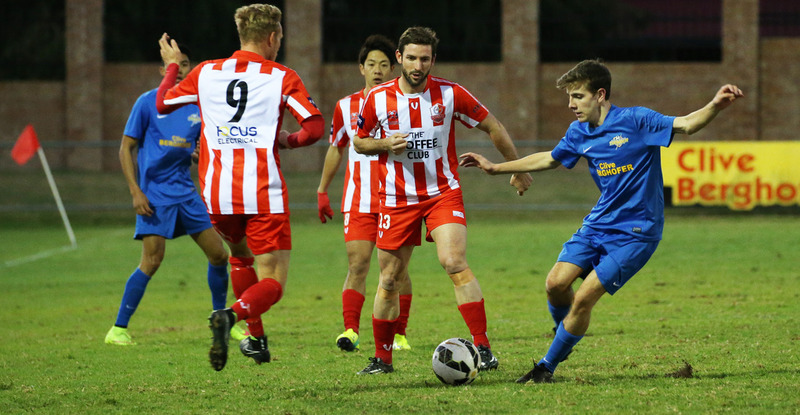 Tim Smits moved top of the Golden Boot race after striking twice in Olympic FC’s 6-1 win over SWQ Thunder at Clive Berghofer Stadium on Saturday. Smits’ haul was complemented by a hat-trick to Olympic skipper Danny Byrne, while Matt Byrne rounded out the result with the visitor’s final goal. 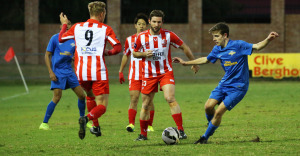 The result continues Thunder’s winless PlayStation® 4 NPL Queensland 2015 season - with the club yet to add to their single point earned in the second round against Brisbane Roar Youth. Olympic started the contest with a frenzy of attacking raids and struck the post inside the opening minutes. However, the visitors didn't have to wait long to take the lead when Smits opened his account just seconds later when he turned home a cross with a regulation finish. Olympic struck the post again before Smits took advantage of an errant clearance from Thunder goalkeeper Pierce Clark to take his season’s tally to a league-best 14 goals. Thunder regained their composure and halved the margin on the half hour when Tom Fanning delivered his third goal in as many games after being found by Jedd Sugden’s pass at near post. However, Olympic restored their two goal buffer just before the break when Danny Byrne tucked home a cross for his first of the contest. After the restart Danny Byrne struck twice in quick-time to seal the points around the hour. Adding his second with a tap-in before notching his third PlayStation 4 NPL Queensland hat-trick in his 65th league appearance two minutes later - his free-kick benefitting from a favourable deflection off the Thunder defence. Matt Byrne then added his first goal of the 2015 campaign in the final minutes when he headed home from a corner. However, Smits spurned a chance to record his third hat-trick of the season, when he shot over the crossbar late in the contest. Speaking post-match, Olympic assistant coach Andrew Lambi said he was pleased with the result and happy with how the side are travelling as the Finals Series approaches. Thunder coach Chris Wilkes conceded his side were second best for much of the contest. “Apart from the first 15 or 20 (mintues) of the second half, where we played the way we expected to play, Olympic totally dominated,” he said.